With one hundred electric charging stations in residential streets the city of Oxford is set to make the use of electric cars a lot more practical. The council has successfully participated in a national funding pot of £40 million in total that is supposed to facilitate the spread of plug-in vehicles. Trials will begin at the end of 2016. Secretary of Transport Patrick McLoughlin has announced Oxford as one of the winners of the Go Ultra Low City funding scheme, securing the council £800,000 to significantly expand the infrastructure for electric cars in the city. 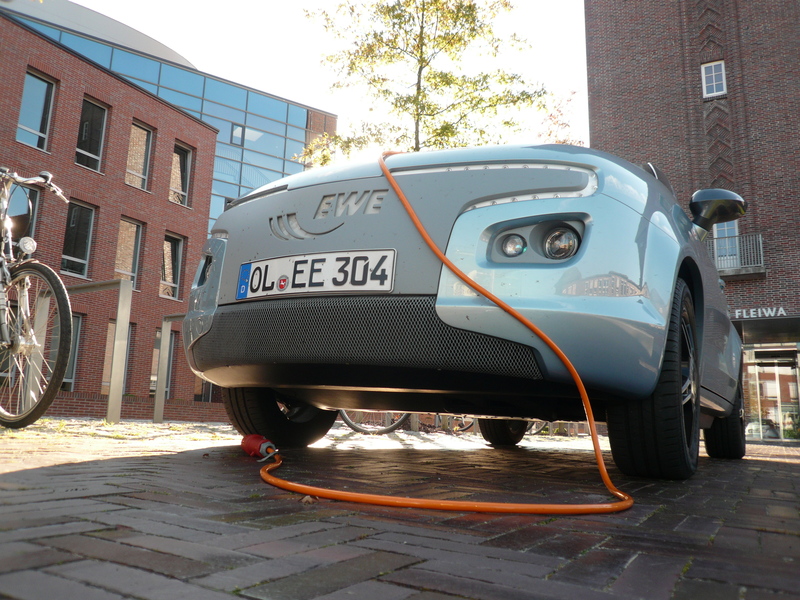 The funding programme that totals £40 million had been made public in December 2014 and had called on municipalities across the UK to present feasible plans for increasing the local capacity for ultra-low emission vehicles (ULEVs). The biggest cut of money has been awarded to the cities of London, Bristol, Nottingham and Milton Keynes. Whereas Bristol and Milton Keynes, for instance, won the bid with offering traffic priorities to ULEVs or short-term vehicle loans respectively, Oxford is set to launch one of the biggest pilots of on-street charging stations that the country has seen to date. At the moment, Oxford residents on terraced streets or without driveways would have a hard time charging their electric automobile. According to the council’s plan, however, electronic car ownership will be made feasible for an additional 16,000 households by 2018. For that purpose, 30 chargers from more than five different companies will be trialed at the end of the year. Councillor Ian Hudspeth, leader of the Oxfordshire County Council, praised the project saying that it “will put Oxfordshire at the forefront of innovative low carbon transport solutions and will help stimulate economic growth in the electric vehicle sector”. “Securing this funding from the Go Ultra Low Cities scheme is an important step in gaining recognition as one of the most sustainable transport regions in Europe”, he added. This is not the first time Oxford has attempted to revolutionise electric vehicle infrastructure, however. In May 2012, then transport minister Norman Baker announced the city’s cooperation with private company Chargemaster, which was set to install 100 charging points all over the city. In 2013, the BBC reported that implementation was stalling with about half of the charging points left uninstalled and the other half severely under frequented. Nonetheless, as Councillor and Executive Board Member for Climate Change John Tanner has suggested it is a step in the right direction and that the Go Ultra Low scheme will make Oxford more sustainable. After all, “Electric cars are the future and this extra Government cash will help Oxford residents switch on to cheaper fuel, clean-air and low carbon. (…) I’m thrilled that Oxford will be leading the way to more electric and hybrid vehicles. We want to make it as easy as possible for anyone driving in Oxford to turn on to renewable energy”. Transport Secretary Patrick McLoughlin stressed the nationwide long-term context of the project. Until 2020, the UK government wants to invest £600 million in the uptake of low emission vehicles to “improve air quality and create jobs” and eventually achieve its “goal of every new car and van in the UK being ultra-low emission by 2040”.